By now, HTC One owners on T-Mobile were supposed to have Android 4.3 up and running, but the overdue Jelly Bean update has been delayed until next week. "It has been held until Monday," tweeted HTC U.S. President Jason Mackenzie. "Apologies for the delay, but this one is out of our control." Mackenzie personally apologized to just about every irate customer of the nation's No. 4 carrier that reached out to him on Twitter. "It's not easy to predict to be honest, but [we] have chosen to keep you up to date along the way," he said in another tweet to a customer. 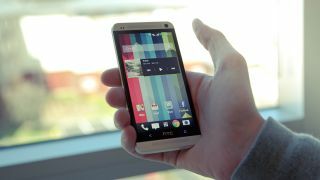 Android 4.3 has been slow to roll out to HTC One smartphones and carrier-locked Android devices in general. Sprint customers were the first HTC One owners to receive the update earlier this month with AT&T subscribers following closely behind last week. Verizon, which became the last major US carrier to launch the HTC One at the end of August, hasn't announced when Android 4.3 will be available to download. However, the Verizon HTC One had Android 4.2.2 pre-installed, so customers of the No. 1 US carrier aren't in angst just yet. The Google operating system update made its debut with the Nexus 7 tablet in late July, so T-Mobile customers have waited almost three months for this update, if it comes out on Monday. With Android KitKat 4.4 expected to launch at the end of the month, it may be just in time so that T-Mobile subscribers don't feel completely lapped.